Earlier this week I needed test something which required a VMware Distributed Virtual Switch (VDS) and this had to be a physical setup, so Nested ESXi was out of the question. I could have used my remote lab, but given what I was testing was a bit "experimental", I prefered using my home lab in the event I need direct console access. At home, I run ESXi on a single Apple Mac Mini and one of the challenges with this and other similar platforms (e.g. Intel NUC) is that they only have a single network interface. As you might have guessed, this is a problem when looking to migrate from a Virtual Standard Switch (VSS) to VDS, as it requires at least two NICS. 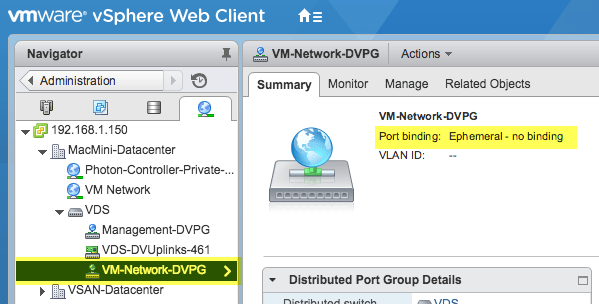 I lost access to my vCenter Server and even though I could connect directly to the ESXi host, I was not able to change the VM Network to the Distributed Virtual Portgroup (DVPG). This is actually an expected behavior and there is an easy work around, let me explain. When you create a DVPG, there are three different bindings: Static, Dynamic, and Ephemeral that can be configured and by default, Static binding is used. Both Static and Dynamic DVPGs can only be managed through vCenter Server and because of this, you can not change the VM network to a non-Ephemeral DVPG and in fact, it is not even listed when connecting to the vSphere C# Client. The simple work around is to create a DVPG using the Ephemeral binding and this will allow you to then change the VM network of your vCenter Server and is the last piece to solving this puzzle. Step 2 - Create a new VDS and the associated Portgroups for both your VMkernel interfaces and VM Networks. For the DVPG which will be used for the vCenter Server's VM network, be sure to change the binding to Ephemeral before proceeding with the VDS migration. Step 3 - Proceed with the normal VDS Migration wizard using the vSphere Web/C# Client and ensure that you perform the correct mappings. Once completed, you should now be able connect directly to the ESXi host using either the vSphere C# Client or ESXi Embedded Host Client to confirm that the VDS migration was successful as seen in the screenshot below. Note: If you forgot to perform Step 2 (which I initially did), you will need to login to the DCUI of your ESXi host and restore the networking configurations. Step 4 - The last and final step is to change the VM network for your vCenter Server. In my case, I am using the VCSA and due to a bug I found in the Embedded Host Client, you will need to use the vSphere C# Client to perform this change if you are running VCSA 6.x. 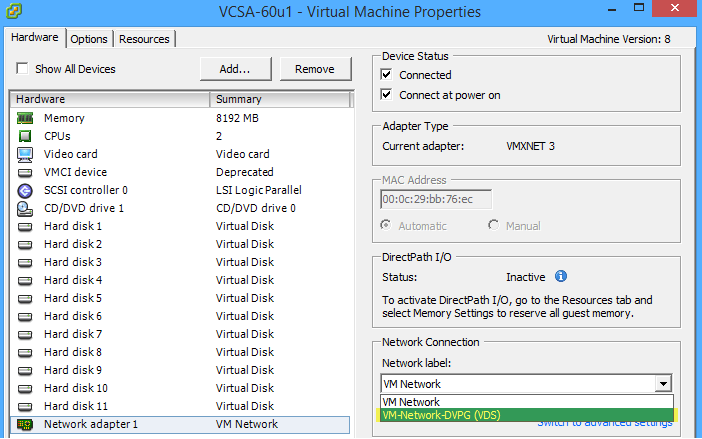 If you are running Windows VC or VCSA 5.x, then you can use the Embedded Host Client to modify the VM network to use the new DVPG. 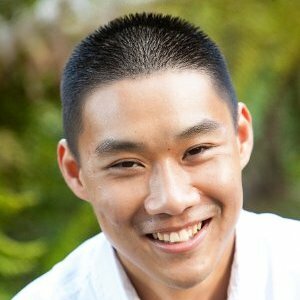 There is probably no good use case for this outside of home labs, but I was happy that I found a solution and hopefully this might come in handy for others who might be in a similar situation and would like to use and learn more about VMware VDS. I’m aware of that 🙂 I’ve used the wizard on several occasions, however as mentioned in the article, VM portgroups are NOT migrated. I suspect the reason is there’s a tiny blip in network connection when the VMkernel interfaces are migrated and VC does not actually get the last request to also move the VM portgroups (that’s my guess). Thanks a lot. Not so much time ago I suffered from this issue. Finally completed my objective with connecting additional nic but your article makes it so simple, thanks again and sorry for my poor English. Brilliant! thank you very much for this! Every time I come across your site I get a slap in the face: “of course, that’s how you do it!” and get reminded to visit more often for great tips. I will try this in my homelab on my 2 old Supermicro servers with only 1 NIC. Thanks! any chance of a command line way of doing this ? I wonder does anyone make a two-port USB NIC? Dude, …. You literally would have saved me 2 hours of rolling back through ESXi console after messing around with this on single nics blades I had to create a VDS for. I got until the ephemereal part at which stage network went bananas. You sorted out for me the next steps and will retry this. Brilliant stuff!!! Saved me days messing around in my lab trying to get this working!!! Once again you saved me from pulling my hair out William, thank you. Just found this for use in my lab. Thanks, makes perfect sense. Me and my Intel NUC home lab thank you. Not being able to have distributed vswitches really limited my testing. I have to say so many times when I try to google a hack out of net I was guided here… Thanks man. As working on virtualized cisco + vmware, you really play it well. Of course in my conversion I went gang busters and saved the vCenter server for last. No biggie, just added temp port group with binding mode ephemeral, migrated there, and then on step three proceeded normally by logging into the host and modifying the VMK to move it to the existing port group that had all of the migrated VMs in it. Thank you! I have a lab on Intel NUCs and need the DVS for VRA Network profiles.